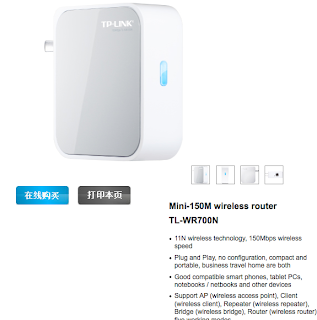 I acquired 2 TP-Link WR-700N devices, one to use as a repeater to overcome a dead zone in my house, and one to use as a bridge to connect some ethernet only devices in a part of the house without cables. The adventure starts when they arrive from China via Ebay: instructions exist only in Chinese. Never mind, Google Translate to the rescue. BTW, Here's the product page. Then they are set to be Access Point (AP) mode with no WEP/WPA key (ie open) on the fixed IP address 192.168.1.253. Select interface "Airport" if you use WIFI. The name is immaterial. Then click "Advanced"
and then "TCP/IP", change Configure IPv4 to "manually" and put in an address such as "192.168.1.250"
192.168.1.253 : The default credentials are admin/admin. Once you get the hang of having the Google Translate open in the tab next to the web UI to configure the WR700N, it'll be fairly straight forward. To make your life easier, here's the device's home page, with English translations. The best place to start is the "Wizard" and work your way through. Flick between tabs to get the translation. 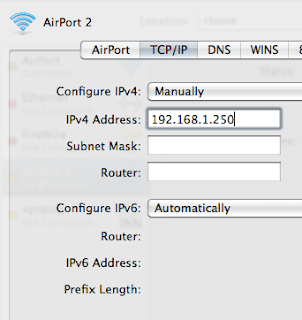 After its configured, you can move to Network to change its IP, and then to System Tools > Change Password. When changing the password I found I had to also put in the admin name "admin". NONE of the ip address's found on line are correct for this chinese junk!! so you can't get to it from its default address? Did you try a reset? ie hold in the little button for a few seconds? 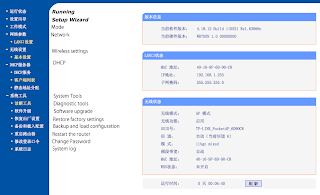 new english firmware now published on the website. still struggling out how to update it - it says don't do it via wireless - maybe AP or Client?? Have had most success in AP mode (so I can still use google translate). Have had to delete the brackets from the filename so it fits..
Upload the file version does not match with the models. Response from TP-Link Tech support. Thanks for this. Looks like you don't need the TFTP method is you can get to the device through a web browser, which you can if you add a second IP address. Both my device have a v1.1 in their serial number, so I might try the firmware update anyway. Let you know! Looks like I spoke too soon, with this model you do need the TFTP server, since there's no 'choose file' button in the web UI. Thanks for posting this. The documentation for the US (English) version of the device lists a different IP address. 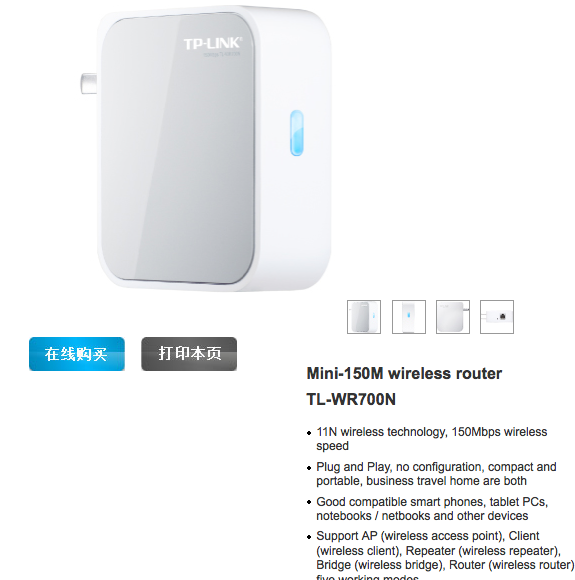 I've pretty much tried all of the suggestions here and on the TP-link website and I still can get this connected. Anyone have any new ideas? Thanks for the correct IP address for the Chinese version. Worked fine and got the thing set up without issue using the English instructions as a guide. I have one of these, used as the sole router in our place. do you know default password on it? I need to make it secure. "admin" does not work.